Or is it because of eyewitness accounts confirming that the Ukrainian air force regularly used civilian aircraft flying over Novorossiya as human shields to protect its military aircraft conducting strikes against the civilian population from the Militia’s anti-aircraft units? The “black boxes” of the crashed Malaysian Boeing have finally been transferred into the hands of the experts. However, how much can they tell us? The Ukrainian Security Service has published photographs and a video, which, in its opinion, prove that the Boeing was shot down with a “BUK” missile. Olga Ivshina, BBC: So, could the Boeing have been shot down by the militias that had mistaken it for a military aircraft? There is as yet no unequivocal confirmation of either this or any other version [of what took place]. 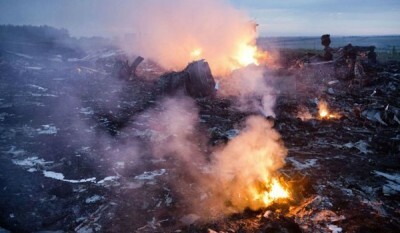 The international experts are just beginning their work with the information obtained from the crashed airliner. It now appears that it is difficult to overstate the importance of this investigation. Olga Ivshina, BBC.